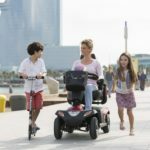 Powered wheelchairs: what are your options? 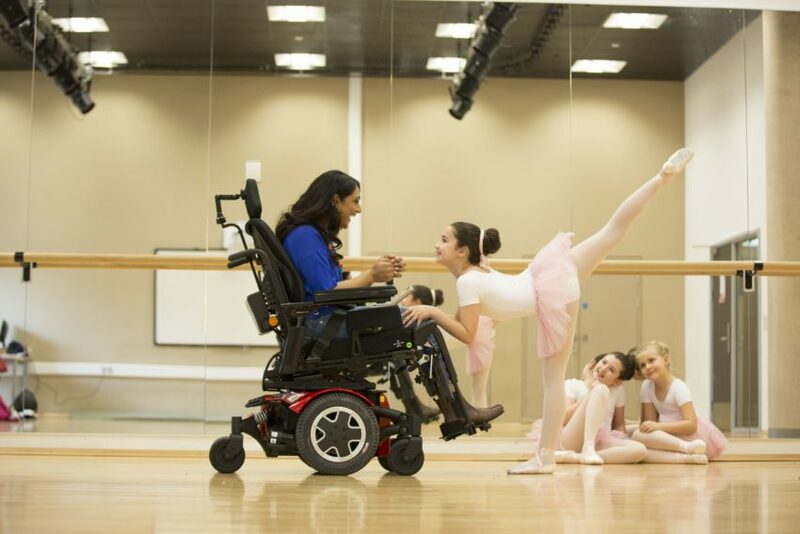 What is a powered wheelchair? A powered wheelchair is essentially the same as a standard attendant propelled wheelchair with a motor. 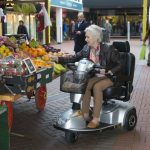 Although motorised scooters can be an excellent option outdoors, for users who require motorised propulsion indoors as wells as out then the powered wheelchair is often a good solution. This is why they tend to be recommended by health professionals for users who require full-time wheelchair assistance. 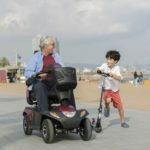 Powered wheelchairs are capable of operating on a variety of surfaces with incredible maneuverability due to the minimal turning circle required. This makes mobilising and turning in spaces such as bedrooms, toilets, bathrooms, hallways and even lifts possible. They are generally 4 wheeled and non-folding although newer models are likely to have a number of removable and folding parts to aid transportation. 1 But what are your options? But what are your options? Although the standard controls for a powered wheelchair would generally be a form of joystick, placed on the left or right armrest at the user’s preference, there are a multitude of options. The joystick can also be placed on a ‘swing away’ mount which allows the powered wheelchair user the ability to get closer to workstations or utilities required during functional tasks. The joystick can also come in a variety of shapes and sizes from roller-balls to straight stick and most things in-between. For users with the inability to create fine motor movements required for the joystick there are specialist options which allow control through oral movement or other parts of the body including foot and elbow. Drive wheels tend to be 12” or 14” and made from rubber. They will be air filled but solid inserts are sometimes available. This negates the risk of punctures but will likely increase the weight therefore consider the type of surface the powered wheelchair is likely to be used on before making that decision. As the powered wheelchair is usually used for some heavy duty work the battery needs to be able to keep up with this demand. Ensure that when purchasing powered wheelchair you ask about the battery capacity in the context of your likely usage and the environment. For example, maximum mileage needs to take into consideration the user’s weight, the tasks they will be using it for and whether they will be mobilising up hills during their day-to-day use. Wondering how to maintain your Powerchair’s battery correctly? Then take a look at this short video looking at the best way to take care of your Powerchair’s battery. There are options to have the same folding features as an attendant propelled wheelchair. However, the carer/user will usually need to remove the battery and seating accessories before folding so consider how realistic this is and the carer’s/user’s ability to complete this task safely. If considering the folding option you may also need to review what the folding chair is going into and how moving and handling risks can be minimised. The tilting system is separate to the base and therefore if tilt is required the user will choose a suitable seat which will be attached to a tilting mechanism. The user will then choose a base unit to which the seat and mechanism will be attached. Ensure when purchasing or considering a powered wheelchair that you seek the advice of an appropriate healthcare professional. Making sure that the manufacturer has all of the relevant information about the user and their needs will ensure that you make the right choices to support the user’s independence and safety.